A chemical peel is used for resurfacing of the skin, typically on the face for fine lines, wrinkles, hyperpigmentation, skin damage due to the sun, acne, wrinkles, or pigmentation problems. Removing outer layers of the skin prompts the body to generate a new layer of skin cells, which are tainted by the previous skin condition. Chemical peels may not be appropriate for darker skin complexions. Click on the buttons to review information about Chemical Peels. At the time of your procedure, any active skin disease, infection, or acne needs to be under control in order to maximize results. There are several different types of chemical solutions that can be used, ranging from a mild solution to a very strong one. The surgeon will select what is best for the patient based on their skin condition, color, and desired result. During the procedure, the skin is first cleansed of oils. A solution is then carefully applied and is allowed to remain on the skin for a short time in order to remove the layers of damaged skin. At this point, the skin will turn white via a frost-like effect. The skin is then neutralized and cleansed. Finally, an ointment is applied to the skin to aid in healing. Exposure to the sun and using tanning booths should be avoided while the skin is healing. Generally, post-operative instructions call for plenty of rest and limited movement in order to speed up the healing process and recovery time. An ointment is applied immediately following surgery to aid in the healing process and to minimize swelling. The skin will have a pinkish color, and a thin crust may form over the area that was treated. Patients sometimes report minor pain associated with the procedure, which can be treated effectively with oral medication. While complications are rare, patients can minimize potential problems by carefully following the post-operative directions given by the surgeon. 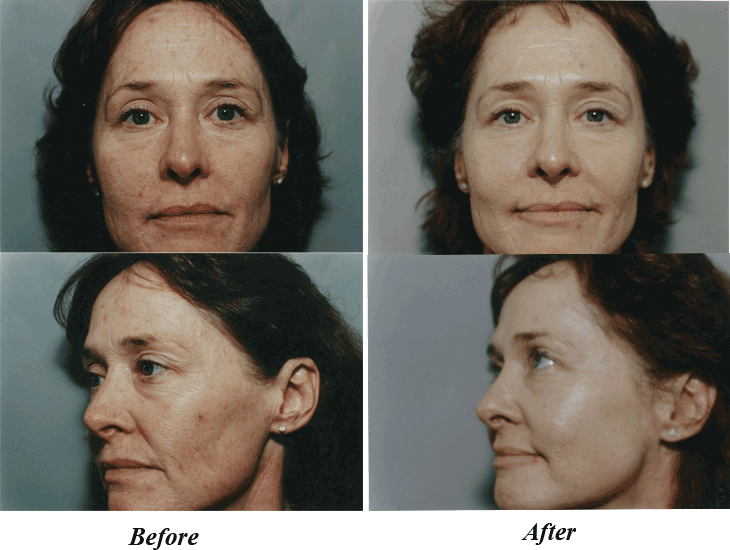 Recovery time varies depending upon the extent of the chemical peel. Contact our office to receive a free consultation. Mahjouri Cosmetic Surgery & Skincare Clinic provides patients from Fridley, Minneapolis, Anoka, and the surrounding communities. For more information, or to schedule a consultation, call our office today!